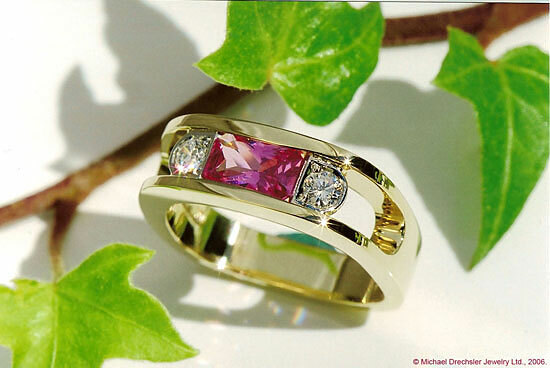 This inspired ring was ordered by a recovered breast cancer patient who wanted a pinky ring. 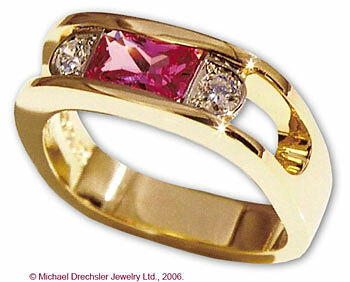 This 18 Karat yellow gold ring features a 0.40 carat, "Breast Cancer Pink" Sapphire flanked by two .05 carat diamonds. View our collection of colored gemstone rings.